As ecommerce business has started to skyrocket, many ecommerce shopping carts have started to come into light. Each day new shopping carts are being introduced in the market. Opencart is another such ecommerce shopping cart that has been recently introduced to the market. Many people choose this shopping cart amongst other hundreds shopping carts. It is very easy to use and you can easily start managing your ecommerce store management with this cart. 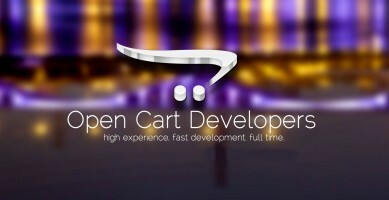 All you need to do is hire an Opencart Development Company and ask them to set the Opencart so that you can get right into the action. Before you start using Opencart Shopping Cart Software you need to know why you should choose this particular shopping cart. The following points might be able to clear your head about Opencart which is one of the emerging best ecommerce shopping carts. Some of the shopping carts prevent you from adding products, manufacturers and categories after the number has reached a certain level. After that level you will no longer be able to add any products, manufacturers and categories. So, in simple words, you will be stuck badly. But, Opencart does not bind you to such limitations. You can add as many products, manufacturers and categories as you want. Thus the size of your e-store does not affect Opencart. Different countries have different rules regarding taxes. If you are setting up an international e-store then it will be an impossible feat for you to remember all kinds of tax rates of different countries. Opencart offers you an easy solution through which you won’t have to remember the tax rates and you won’t make any mistakes as well. It will automatically calculate the tax that has to be charged according to the country. So, neither you nor your customers will be affected by the mistakes in tax rates. Everyone knows the importance of SEO these days. Opencart performs SEO optimization in your pages. Thus the search engines will start indexing your pages when anyone searches the keywords or phrases that you have set for your page. Opencart allows you to manage multiple numbers of stores. You can control and manage various stores from one admin area. The best part is that you can create different themes for different stores. You can install various language packages to enable your website to support various languages. You can also setup different prices for different stores. Opencart is free and you can enjoy various features available in this software. You can get in contact with any Opencart Development Company to get more details about Opencart and its features and benefits. How to improve Search Ranking after Google Panda & Hummingbird upgrades? ArohaTech – Best Web Development Company India Copyright © 2019.